A know that it is not even June yet, but as we are approaching the scheduled end of the 2012 Mass Build cycle, perhaps some suggestions for what to build when the evening start to get a bit darker (that occurs officially in 22 days time!).. A couple of ideas for the 2013 mass build session. I like the Club 25 idea.....(as long as you get the 25 sized Hog plans finished Martyn..... ). As you say it will give a bit of a lift to AWs "campaign" (& boost OS25FP prices on Ebay.... ). Classic Pattern? - moving beyond the PB stuff and would be good to see more King Alters, Kaos, Contenders etc. All are easy and cheap builds and may kits are available (US in particular) and they all fly very well. 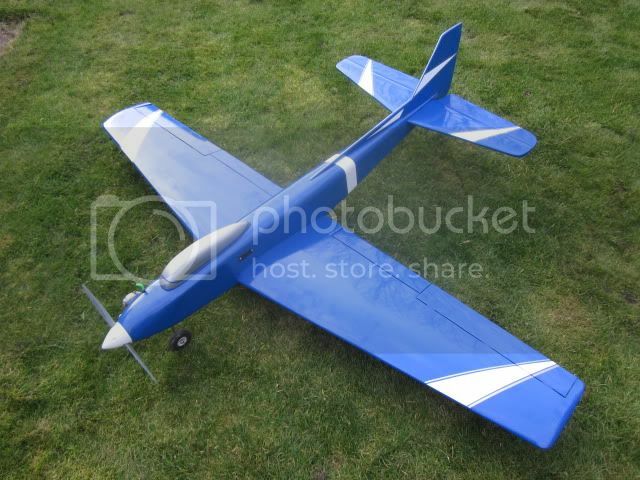 I recently built a Top Flite Gold Edition Contender - WOW what a great flying plane! My next build which won't get started until later in the year is going to be a Curare. Blimey shall we complete the current mass build first? I'm up for the club 25 idea or perhaps a sport scale build and apply limits such as the motor size hopefully to encourage more people to have a go. just thinking out loud. So how about a Wot 4 mass build (NO ARTFS!) to pay tribute to (arguably) the greatest model aeroplane ever made? I think the plane deserves it, since all the fun it has supplied to thousands of people over 3 decades. It's a Birdie .10 isn't it? Lovely model, still miss mine. 72" span so certainly not a birdie 10. good guess though. Big birdie but it's not a birdie.Its scratch built from a plan from way back. Not Gazelle or a moonraker. By the way there is a non-existant prize for the winner. are you kidding me, no prize, what type of competition is this you sicko? Its not a king spectre is it? I like the idea of the club 25 mass build, would give more people a chance to get involved with a smaller build. with a last name of Green, what do you expect? is it a spectre?